Learn Braille the easy way. 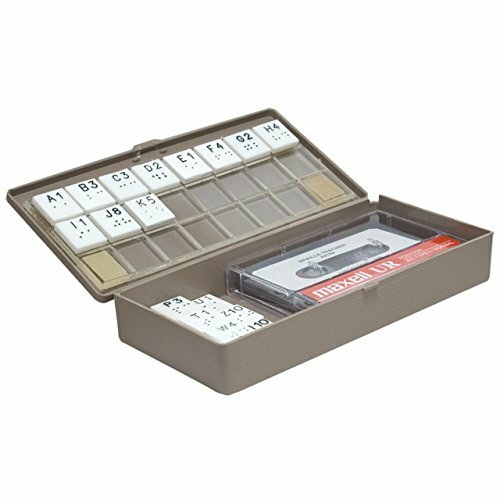 The Braille Teacher consists of 26 tiles marked with Braille and tactile letters, as well as a plastic storage box with a travel size 4-box by 9-box tactile grid built into its lid. Tactile grid lines help hold letter tiles and words that users spell out in place on the board. Great for learning Braille letters and forming basic words. Tiles measure 3/4 in. square. Box measures 8.5 in. x 4.5 in. x 1.75 in. Weight: 11 oz. Includes written instructions. Note: Audio cassette instructions are available upon request. Please note your request on the order when you checkout online or call our Customer Service department.